Kate Aspen's Gold Dotted Christmas Tree Favor Box is a festive way to give candy and treats to all your holiday guests! 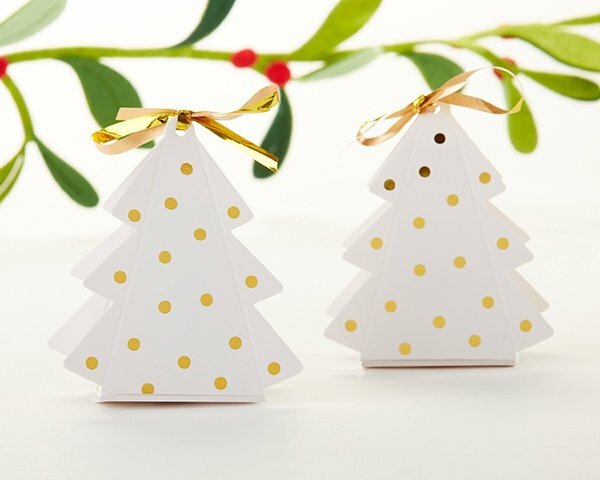 The Christmas tree shaped favor holder can be used for holiday weddings or they can actually work quite well to give small gifts at annual Christmas holiday parties with family and friends. 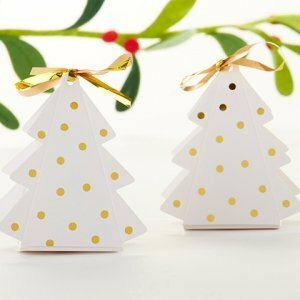 Sold in sets of 12, the Gold Dotted Christmas Tree Favor Box is a great choice for weddings and celebrations of all sizes! Christmas tree shaped favor box in white cardstock with gold foil dot details and a gold foil ribbon tie.